We start doing Conformation shows with Hally Berry du Clos d'Aria. What a big success! 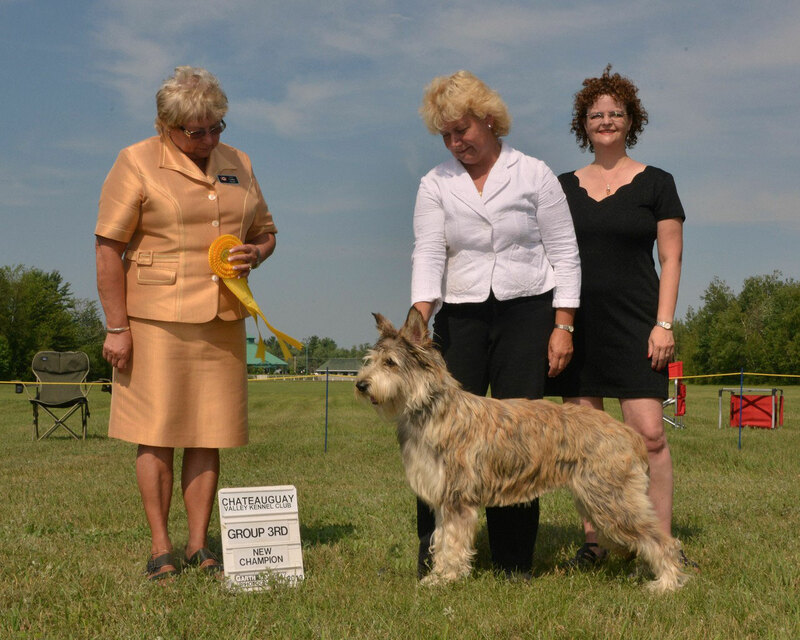 Within two months, Hally Berry earned her Canadian Kennel Club Championship at the Chateauguay show in Quebec! Quite an accomplishment for such a rare breed! Hally Berry is presently Number One Berger Picard in Canada! She loves showing and the judges particularly commend her for her harmonious bone structure, her beautiful gait, her lovely expression and of course, her outstanding temperament.